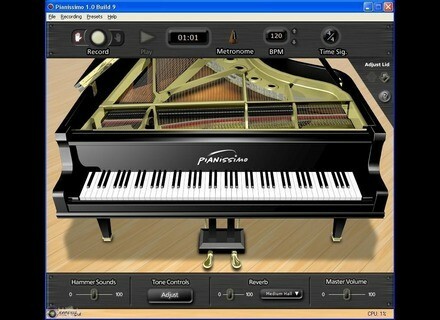 Acoustica has released Pianissimo, a Virtual Grand Piano, which they say delivers the sound and expressivenes of a classic grand piano in an affordable software package. It operates as a VSTi plug-in, or runs as a stand-alone application, for Windows PCs. The VSTi will operate in any DAW with support for virtual instruments in the VSTi format, including Mixcraft. The Stand-Alone version supports any MIDI device, and any Wave, ASIO, or WaveRT device. It allows for two track recording, loading and saving of standard MIDI Type 1 files, and supports mixing down to WAV, MP3, WMA, and OGG Vorbis files. integrated studio reverb creates a highly realistic ambience that places the piano within a true acoustic space. sample programming creates a fluid, dynamic, expressive tone without identifiable velocity switching or other digital artifacts. sympathetic resonance modeling recreates the subtle shimmer of piano strings when the damper pedal is depressed. 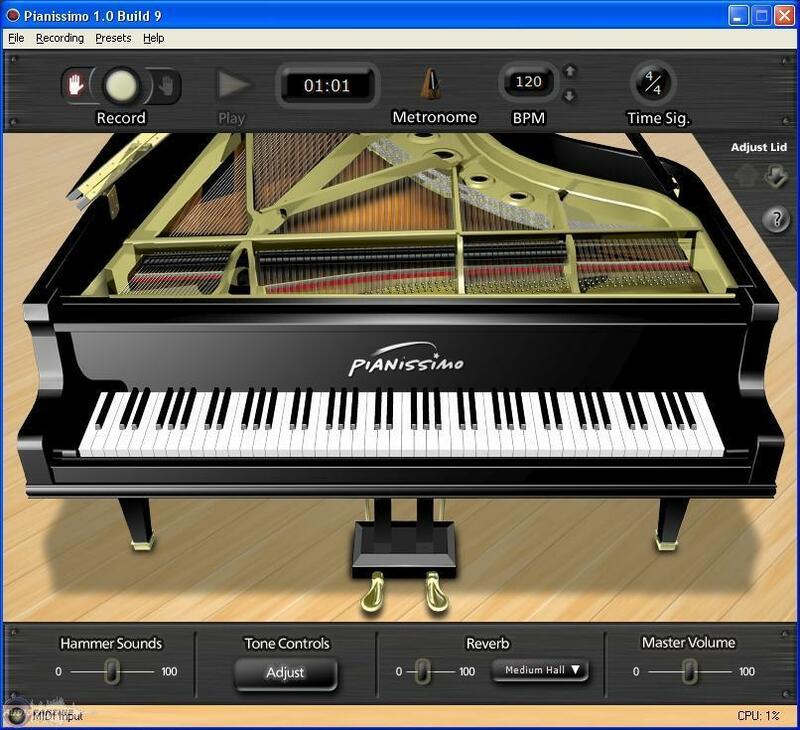 Adjustable incidental piano sounds, including mechanical noises from damper pedal and key release. 256 voices of polyphony and low CPU usage. Adjustable piano lid, velocity curve, tone controls, sympathetic resonance, reverb, and chorus effect. 1GB RAM (2 GB RAM recommended). (2 Ghz Dual Core recommended). For more information, visit their web site at www.acoustica.com. Smart Loops MIDI Drum Loops Vol. 4 Smart Loops has just released MIDI Drum Loops Vol. 4, an all-new collection of real-feel, live drum grooves.